It’s that time of year where everyone is creating lists and recapping 2018. Yesterday, we counted down our Top 10 Most Underappreciated Films of 2018, and as we look forward to 2019, let us end 2018 on a high note and countdown the best films of the year. Haven’t had a chance to review all of them for the site, so I’ll include a short write-up for the ones that don’t have a full review (SPOILER FREE). The same rating scale applies from Best to Worst: Fresh Horchata, Fuego, Bueno, a si a si, Basura, All Mames Wey. Released in 2017 for those across the pond, Paddington 2, didn’t make its way into theaters in the United States until January 12, 2018, which is why I had to mention it on my Best of 2018 list. The Paul King directed film, based on the Paddington Bear, is not only sharply animated, but it’s one of the most charming films of the year. Paddington 2 manages to do something that most sequels cannot do, and that’s to be better than the first film. For a children’s film there’s a lot of cliché things happening with its story elements, but the execution is flawless, and the film’s creativity and imagination are used to maximize its effectiveness. There’s something for everyone, there’s drama, slapstick humor, it’s adorable and it stays true to the roots of the books. Hugh Grant portrays the antagonist Paddington 2 and he has one of the best performances of his career. Check this one out if you’re a fan of the Paddington Bear, animated films, or if you’re having a bad day and want to watch something that will make you feel wonderful. Let’s begin the countdown. . . . This is the only movie that had me wondering WTF did I just watch upon walking out of the theater. After releasing the 2011 viral short film, The Strange Thing About the Johnson, director Ari Aster doubles down in pushing the limits on what is acceptable in his first feature film, and the results are unbelievable. 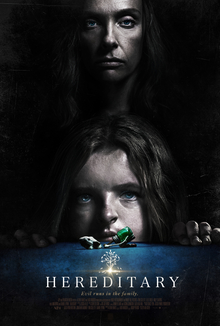 Hereditary is one of the freshest entries the supernatural horror genre has seen in a long time. One of the most memorable, yet gruesome, shots of the year comes from an incident that happens to a character that you wouldn’t think it would happen to. Aster’s work behind the camera leads to some of the best suspense and reaction shots of the year. He effectively uses close shots and zooms to add to the sense of horror the characters are seeing. Hereditary knows where to place jump scares, use its pacing to add to the suspense, and overall, its filmmaking and the writing is what makes such an acclaimed standout. There’s a fantastic performance by Toni Collette’s that is one of the best performances for an actress in a horror film in quite a while. Horror fans will be sure to give this one a viewing. The first documentary on this list, Won’t You Be My Neighbor, covers the life of Fred Rogers, the famed host of the children’s television series Mister Rogers’ Neighborhood, his impact on his crew members and American society at large. Won’t You Be My Neighbor does a phenomenal job of educating the audience on its subject by giving us such an in-depth look at Fred Rogers the man. The movie blends interviews with friends and family of Mr. Rogers with footage from his hit show, which ran for 33 years, to craft a compelling story. There’s a myth that Fred Rogers was a Navy Seal and he killed over “fifty men,” overseas that the movie quickly debunks. The documentary even shows us some of the hard decisions Fred Rogers had to make back when society was a lot more close-minded than it is now. There’s a powerful scene from footage of a Senate hearing where Mr. Rogers used his words to, perhaps, change the world as we know it now by saving public media, and not allowing PBS to meet its demise for budget cuts. The success of Won’t You Be My Neighbor has led to a 2019 movie titled, A Beautiful Day in the Neighborhood, starring Tom Hanks as Mr. Rogers, that I am looking forward to. Wakanda Forever! No other film released in the year two thousand eighteen was as impactful as Black Panther was. Ryan Coogler directed the first entry in the Marvel Cinematic Universe with a predominantly black cast. There are tons of reasons outside of the actual film why this movie is marvelous which I will save for another post. The costumes and set designs in Black Panther are amongst the best of the year. Michael B. Jordan’s portrayal of Killmonger, and his last line of dialogue, will be etched in Americana history for years to come. Not to be outdone, Chadwick Boseman, Daniel Kaluuya, Danai Gurira and Lupita Nyong’o also brought their A game to the 18th film in the MCU. Coogler pays homage to the Bay Area by using his hometown of Oakland to reimagine Killmonger by swapping out his traditional New York origins for California origin. The last fight scene is the main reason why this film isn’t ranked higher on this list. Not sure if they used most of their budget for the rest of the film and had to rush through the last fight scene because it looked like it was lifted out of a video game. Outside of that, Black Panther is a movie that’s worth seeing based off of its impact alone. Full review here. | From the studio that has made some questionable decisions when it comes to the wall-crawler’s lore, comes Spider-Man’s first animated feature film. Sony’s newest film, Spider-Man: Into the Spider-Verse follows the Brooklyn teenager Miles Morales (Shameik Moore) as he takes the mantle of Spider-Man in his universe. For an animated movie, Into the Spider-Verse, created an authentic representation of Brooklyn. There’s constant movement, people walking across the street, subways are always moving, background characters are diverse, and the city truly feels like it never sleeps. All of that creates the perfect origin story for those who are not familiar with this version of Spider-Man. There’s Spider-Men from different universes and they have different animation styles depending on which universe they’re from. Being able to blend in the different animation styles amongst each other while keeping the feeling of a comic book is why this film was so fun to watch. This film untagles webs of the past and works as a perfect origin story that swings forward for the future. The smartest and most creative thriller of the year goes to Searching. The feature film is the directorial debut of Aneesh Chaganty, and he makes the most out of the film’s one million dollar budget. The film is almost entirely set from the vantage points of computer screens, smartphone screens, tablet screens, and any other screen you can think of. Searching stars John Cho as a father who is trying to find his daughter that has disappeared, but he realizes that he doesn’t actually know his daughter. Setting the entire movie from the viewpoint of different screens helps set Searching apart from other missing thrillers. The clever concept gives the film a fresh feel. The way Chaganty uses the space on the desktop screen to function as a form of storytelling throughout the movie is impressive. The Bay Area director even stuck to his roots by using the Bay Area as the setting of the film. John Cho had a stellar performance as a frantic father who was in distress after his whole world came crashing down. Some may not like the twist at the end, but it doesn’t ruin the fun ride as we search for the conclusion with our main character. Full review here. |40 years later, we finally have a Halloween film that carries the spirit of the original. Halloween is gory, meta, vengeful and an important movie for the horror genre. The film works as a direct sequel to the 1978 film of the same name, and on top of that this version ignores the multiple sequels that have taken place within the last 40 years. True Scream Queen Jamie Lee Curtis returns in her iconic role as Laurie Strode, and she does not disappoint. Her performance in Halloween should generate her some buzz this upcoming awards season. The sound mixing in this movie is as clean as ever, and John Carpenter returned to create one of the most eeriest scores of 2018. There’s a post-credit scene where you should wait after the credits. The original 1978 Halloween is a landmark in American cinema, birthed a decade full of slasher films that created other iconic characters, and hopefully, this retcon sequel to a franchise that is quadragenarian, will be just as influential. The Marvel Cinematic Universe has another entry on this list with Avengers: Infinity War, the 19th entry in the Marvel Cinematic Universe. What makes this movie impressive is that there are characters we’ve got to know for a decade in their own respective franchises, and the movie does a phenomenal job at bringing these different personalities together. After 18 MCU films, including the previous two Avengers films, it has to be difficult to raise the stakes, yet somehow Marvel and the Russo brothers find a way. The antagonist, Thanos, even has a personality, and Josh Brolin’s performance of the character was his personal best performance out of the 3 movies he starred in this year. There’s action, drama, comedy and just like The Purple Titan says during a monologue, there’s a balance that makes Avengers: Infinity War one of the best theater experiences of 2018. Some may try to downplay this movie as “spandex cinema,” yet, even if it is, the MCU is leagues ahead of other cinematic universes who cannot even do their source material justice. Cheeky! Give this a viewing before the endgame in April. Another documentary takes the third spot on my list of Best Films of 2018. Three Identical Strangers had too many jaw dropping moments to count, and I left the theater thinking WTF in a completely different way then when I saw Hereditary. The film tells the story of a set of triplets that were separated during their infancy, and tries to explain the age-old debate between Nature vs. Nurture. The film does have some questionable moments, especially, when it comes to director Tim Wardle’s ways of relaying information to the subjects of the film, and how he establishes the narrative of the conclusion. The good people at Eavesdopping at the Movies have a great, highly entertaining episode of their podcast (contains spoilers) that I recommend everyone checking out, because they point out some fair criticisms of the documentary. What makes Three Identical Strangers work so well for me, is the shocking elements to the story, the layers of twist that make it so compelling, and the real life effects that the triplets of the film went through, and how they could’ve been anyone of us. There are people living out there just living their life, and they may have a twin and not even have the slightest clue. Just like Won’t You Be My Neighbor this documentary is also getting the Hollywood treatment with a feature film in the works. Definitely give this one a viewing if you haven’t. 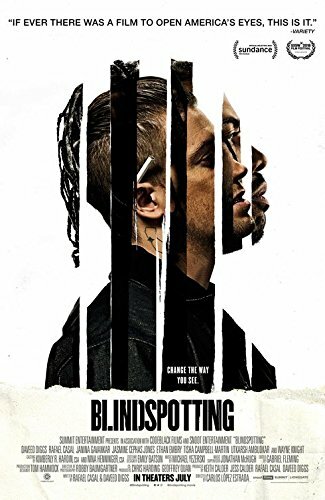 Blindspotting is Carlos López Estrada’s feature-length film directorial debut, and was written by two of the film’s stars, Daveed Diggs and Rafael Casal. Casal and Diggs, both from the Bay Area, had worked on the script over a period of nine years because they felt the Bay Area’s depiction in film was missing something. Just like the other Bay Area films that have made this list, Blindspotting brings all the colors, vibrancy and Hyphy-ness that one would expect from the Bay. Estrada’s experience in shooting music videos is on full display, and it gives the film its own sense of rhythm and style that creates a fashionable film. Diggs and Casal’s chemistry throughout the movie feels authentic, and there’s not a scene in this movie that feels forced. The humor is on point, and there’s a particular story being told by a side character about an event that is hilarious. Even with comedy, Blindspotting isn’t blind when it comes to commenting on race, gentrification and issues in American society. The drama is just as profound and impactful as its humor. There’s a powerful scene that explores a certain term of endearment/racial slur, and the white-black dynamic between the friendship of Diggs and Casal’s characters. This is a movie that will forever be topical and I wish everyone could see it. ALSO, the soundtrack bangs, check out “Blindspotting: The Miles EP,” and “Blindspotting: The Collin EP,” on your favorite streaming service. Finally, the Best Film of 2018 is. . . . . The Best Film of 2018 is Sorry to Bother You. The movie is written by and the feature-length directorial debut of Bay Area emcee Boots Riley. Riley stated that he finished writing the screenplay for the film back in 2012 and released an album of the same name with his band The Coup. Sorry to Bother You is set in Oakland, California, but in an alternate universe, and just like the other Bay Area films that managed to make this list, stylistically, it brings all the color, rhythm and flavor that one would expect from a film in Oakland. The movie examines capitalism, false consciousness and code-switching, in subtle and not-so-subtle ways. Lakeith Stanfield and Tessa Thompson are cast perfectly as the film’s leads, Cassius Green and Detroit, respectively. Both of these actors have an awkward (in a good way) presence that works perfectly in the universe that Riley has created. There’s a twist in the film that is wildly unexpected, and it leaves you guessing where the movie is going, Armie Hammer plays a Steve Bezos-like character, and he’s amusing. The scenes where our main characters have to code-switch are hilarious and impressively synced. The fact that Riley wrote the script nearly 6 …. *SIX* years ago, and it has been nearly 6 months since the film’s release, and Sorry to Bother Your still hits right on the nose of American society and Capitalism is mind-boggling. For me, Sorry to Bother You was the front-runner for the most creative and unique cinematic experience that I’ve had all year, and that’s why it’s my choice for Best Film in 2018. Thanks for checking out my list of the Best Films of 2018. If you haven’t, catch up on the Most Underappreciated Movies of 2018 here, and keep an eye open for The Most Anticipated Films of 2019 coming soon. Follow the blog on Twitter and LetterBoxd @PeliculasCosas and on Instagram @PeliculasAndCosas. Have a Happy New Year and we’ll catch you next time!